When it comes to keeping their streets safe to walk, play and learn, members of the Best Start Metro LA community partnership have learned how to walk the walk — one block at a time. Best Start Metro LA and Los Angeles Walks — a pedestrian advocacy organization and First 5 LA strategic partner — co-hosted a block party on February 23 on Gramercy Pl. and Adams Blvd. to raise awareness about the issue of safer streets for families and children. 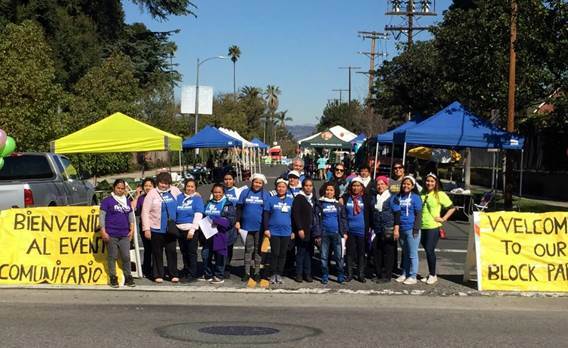 Fourteen Best Start Metro LA members worked with city officials to obtain the special event permits to close the street, petitioned their neighbors for signatures and successfully obtained sponsorship and more than $2,400 in funding from the office of Los Angeles City Council President Herb Wesson. Over 150 community members attended the event, including seniors from a nearby senior living center, Best Start Metro LA families and neighbors, and community-based organizations. “It was beautiful to see how Best Start Metro LA members felt comfortable letting their children run free throughout the block to enjoy all the activities,” said Carmina Gomez, Programs Manager for Los Angeles Walks and one of the main coordinators of the event. One of the goals of the event was to raise awareness about an unsafe intersection that many parents with strollers, seniors and individuals with disabilities utilize on a daily basis. Best Start Metro LA members plan to advocate to city officials to add a “curb cut” near a bus stop so people living in the neighborhood can cross the street safely, access the sidewalk and wait for the bus on Adams Blvd. between St. Andrews Place and Western Ave. Recently, the group submitted a request regarding the need for an Americans with Disabilities Act (ADA)-compliant ramp at the street crosswalk. Best Start Metro LA members are following their progress by building relationships with Wesson’s office and the city’s ADA compliance officer. Traffic fatalities and severe injuries are serious public health threats in Los Angeles County. Countywide, motor vehicle collisions are the leading cause of death for children age 5 to 14, and the third cause of premature death overall. In the City of Los Angeles, every year more than 200 people are killed using streets and nearly half while walking or bicycling, with a disproportionate number being children and older adults. 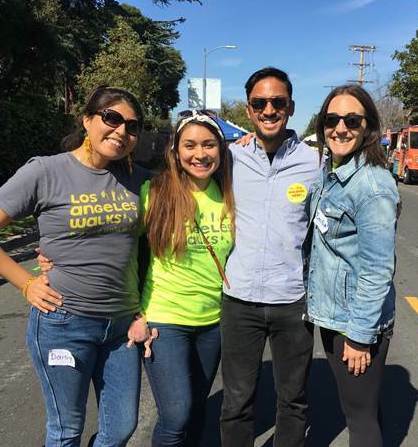 Last fall, Los Angeles Walks introduced the idea of “creative actions,” which inspired Best Start Metro LA members like Karina Noriega, who suggested her block as the site for the block party. The group unanimously agreed, said Guevarra, and members took only a handful of months to plan and organize their event. Best Start Metro LA members are also happy to share their knowledge with other community members and non-profits. 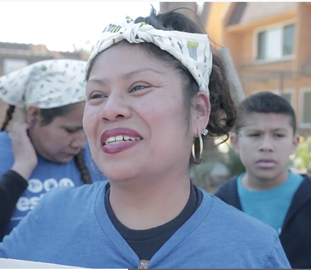 Members are sharing their experiences with LA Más, a non-profit organization focused on urban design in under-served communities, to help inform their policy report for a new permitting process for sidewalk amenities in Los Angeles. 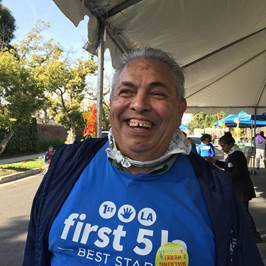 As a strategic partner since April 2018, LA Walks’ work with First 5 LA includes elevating the voices and needs of families with children in the Best Start communities to address policymakers and decision-makers regarding safer streets for children and families. This summer, LA Walks will release a Safe Streets, Healthy Families Advocacy Guide – a resource for Best Start communities to advocate for safer streets. The guide is co-designed and written (primarily in Spanish) by Best Start members from Metro LA, Wilmington and Panorama City & Neighbors.